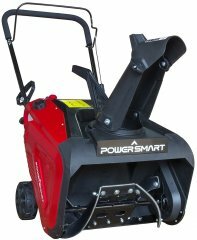 Considering this 's aggregate ranking of 82%, we believe that the Power Smart DB5023 is, as of now, Alphachooser's best PowerSmart snow blower 2019. Furthermore, we think that our sample of 338 reviews from our sources gives us a high confidence level (more on confidence levels) that pushes us to call it a "no-brainer best choice." 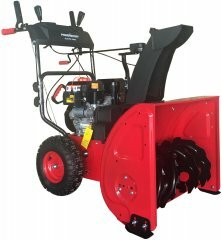 With its 4 stars computed from 101 reviews, here is second best PowerSmart snow blower. * These choices are based on a full analysis of hundreds of reviews from across the web. 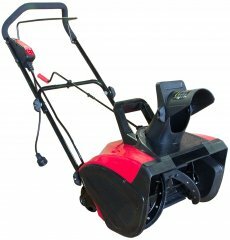 Two-stage 24-inch snow blower that is outfitted with an intake height of 21 inches despite a small 208cc motor (But Power Smart says it can handle it). Two-stage 22-inch snow blower rigged with an intake height of 16 inches despite a small 208cc motor (But Power Smart seems to be confident that it can handle it).